Heavenly blog! : No. 1228: Many criticized me to warn against the "Pastor" and mockery apostle Jan Aage Torp - all have proved to be true, "none" so humble and apologize! No. 1228: Many criticized me to warn against the "Pastor" and mockery apostle Jan Aage Torp - all have proved to be true, "none" so humble and apologize! Many criticized me to warn against the "Pastor" and mockery apostle Jan Aage Torp - all have proved to be true, "none" so humble and apologize! Photo by Jan Aage Torp's daughter (we have censored it when we do not want her to be exposed to more abuse than she already went through) standing up with a story that shakes one. It says that all that I have also written and spoken mockery apostle January Aage Torp has been true down to the last milligram. Police want this to be punishable only says that Oslo police are far worse than the police in any country I know of. It is not possible to make a bigger blunder than Oslo police here do! We put either the image of prevention at Manglerud which is soon the only defender, Jan Aage Torp has left? In my and arguably this "madness" Police! Some have prayed and acknowledged that they were mistaken. But the vast majority have just quietly pulled away without acknowledging that they took completely wrong and I was right! Heth No, bullying and lies against me and my family have now at least "dried" almost out! I grew up in a sports environment, and there is man actually much more humble and realize the facts many times than among believers on death and life to always be right! Therefore Jesus says that many times is the religious people of far inferior "art" than those who are not religious, although it should be the opposite! When I played football, so we taught ourselves something very important. It was that we could not always win but also lose it belonged. So it is here between me and Jan Aage Torp should all acknowledge? Christensen family has won and Torp and his lackeys and poodles have lost, and it thoroughly! In a fight there are two actors, a loser and a winner. Here there is an obvious winner, and an even clearer loser! Then no losers herein Torp and those who were with him, not treat me and the family Christensen winning? There was a possible output of the match after Torp went with her to the police and initiated the fight. For me it is completely unbiblical and I could never under any circumstances to reviewed some, as this is directly ubibelskt (1 Cor. 6). As well, that as a believer, then it is the Lord who will fight for me, no one else! Here it is evident that God has and still fights for the family Christensen, while January Aage Torp and his straw men, God has never stood bi or are bi! Could never under any circumstances dreamed Torp should be to the point revealed by inter alia it has been in every newspaper about Torp where he has become the synonym of a bad shepherd. Across Norway today so I think 99-100% of all Christians look at Jan Aage Torp that the absolute poorest shepherd and father Christian Norway has fostered ?! He is on a decidedly low point with his manner towards his family first and foremost. Secondly to all other people he has been in contact with. He holds the "Jumbo Square!" Therefore, it is also entirely set with criticism against me, today know anyone who is reasonably honest against God and themselves. Jan Kåre Christensen had just warned against Torp clearer and better than anyone else! Was the first who saw this and publicly repudiated in from the manipulator and mockery apostle January Aage Torp. It's like a get the impression that Jan Aage Torp is that Satan himself by what others write and have formulated themselves regarding January Aage Torp! It's really others now taking "severe" in than I did! Therefore, the police charges against me pure idiocy! The thing between me and Jan Aage Torp is really today a "Balderdash" case! I was right, Torp and police are completely out on the sidelines! The thing is really over, Torp and police have "dritte the dragon." The victory is won, Torp is the one who has lied and tried to get the Heavenly blog and Heavenly blog shut down and lock. But it's the goal he had in mind that accrued to him. Whoever digs a pit for others, falls himself up in it. Rarely has a Bible quote more appropriate and more in than right here! There is not a single public preacher who has defended January Aage Torp and his misdeeds, on the contrary. That's all I know of that has drawn even more from Jan Aage Torp. All "know" that Torp is a child molester, criminal and a fool apostle who is honest against himself, God and the truth! We also look at all Facebook comments, blog comments and online forums that day, Debate and around. So simply constants that I was saying too little from? It was worse off with Jan Aage Torp than anyone could have imagined, even me! Torp is the synonymous of a poor shepherd and an unfit preach been following what's been uncovered, come forward and which is now open to all! If we include VGTV that I had almost forgotten, then the testimony saying that I had more than straight, overwhelming and huge! Almost forgot really what kids his writing, both his daughter and son. Then what I have written and spoken, like a firecracker up against everyone else who has now come forward with their outrageous and frightening stories about Jan Aage Torp. Why are there so few who first denounced me, and now in retrospect have been a peep? A small greeting sadly, I was ripped off by Jan Aage Torp's smile and eloquence or something? It could and should have than expected ?! But okay, we in the family Christen living well that it is not so, but perhaps there are some who will pray for forgiveness and say that they missed? Today everybody knows that will and are honest against himself and the truth, I was right! Jan Kåre, you won and was right. Jan Kåre, we acknowledge defeat and congratulate you! Jan Kåre, you saw things that we saw, but now we see and realize that you had more than just brother! I expect nothing of any but nice had it been that anyone and everyone who before warned against me and the Heavenly blog had realized that they were completely wrong. Admitted it and wished me good luck and God bless! Humility always pays. Praise others always pays, face facts always pays. Koste other some good words, it always pays! I quoted the words of Jesus: "For children of this world arrange themselves wiser with each other than the children of light." That said, why is it in religious and Christian communities so bad to realize a defeat? It is based on dt we realize this and can work further. For me, I could never, under any circumstances dreamed that all this has happened in the past, and reached to happen. Here is just soon the evil people on Manglerud Polti in my view, standing with Jan Aage Torp. Each false Smyrna blog and the nefarious website Searchlight. It is the rabble really and the only ones defending January Aage Torp in his sin and misery! It should have been written a book between this battle between me and Jan Aage Torp that would have been used as a textbook in it to expose a psychopath and a mockery apostle. It comes perhaps? It is certain, however, that the harassment against me and my family have now slowed very. Although the two largest and worst web roll, Ansgar Braut and Torodd Fuglesteg. January Aage Torp obedient poodles and lackeys have now stopped writing about me and my family something I am very happy! I have not had any kind of conspiracy or coordination with all those who have revealed and discovered that what I've written and spoken about Jan Aage Torp was true down to the last milligram! At Polti led away by Torp, it says that he is a good liar and scoundrel! It was the enormous hate me and my two blogs that did that Jan Aage Torp went to that step to report me. In other words, the entire case is based on false accusations. He continues to lie, now it's not what I've written, but the amount that he has "hung" up in. It is the only straw they have to get me field in appellate court. 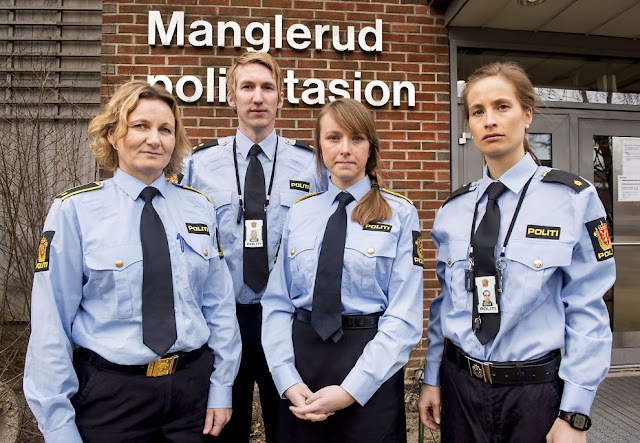 Talk about being crooks, Jan Aage Torp and the so-called Hatkrim group at Manglerud Police Station here in Oslo. Everything will fabricate to leave in January Aage Torp's false accusations pass and Torp hatmeldigner against me that surpasses me a ten-fold. We take with Jan Aage Torp's straw men, not least Ansgar Braut and Torodd Fuglesteg, so we are talking about people living in a category of online proportionality which is completely beyond. That these are not punished, charged and tried in court is so ridiculous and such a rotten game of cops that even the police in North Korea or Saudi Arabia are not as bad as Polti at Manglerud. But we can hope, believe and pray that sooner or later justice and truth will come out, as it really happened now between me and Jan Aage Torp! Taking ultimately what January Aage Torp's daughter wrote, when her voice is almost lost in all this. Here's her article and what some have commented. Has taken away the names of those who have commented on her article. It tells me one thing, had the truth about Jan Aage Torp each revealed before, he had certainly not been raised an only child. Neither he or his early wife Ann-Christin Torp as she was then called. It tells me that every word I have written has been more than true! At Polti want me punished for this, explains just how rotten a police we are dealing with in my and probably everyone else's perception and opinion ?! Just want to say, that it is not I, but Jan Aage Torp themselves have added to this game after he went to the police with his fictional review, and the bet for the temptation of this child molesters (after what his own children writing), manipulator and mock the apostle January Aage Torp! NB! We have been really very kind to Torp here at the Heavenly blog. Had we unfolded really all that has emerged about Jan Aage Torp in recent months. Then it would have been so much and extensive, with so powerful words and opinions, we obviously had to do with a dangerous cult leader! My main focus has been that he is re-married as believers, it is what has disqualified him as a pastor and shepherd. Now it has emerged that there are a thousand things to, not least how he treated other people. There actually his children who have been hardest hit by this man! What Torp and his poodles and lackeys have done for me and my family, it's like nothing raining though Torp has written against me on various forums. His poodles and lackeys have written against me and my family through emails to many people. And they have written endless messages on the nefarious website Searchlight and the false Smyrna blog. All to frame me and my family, this is obviously a crime. That we have a police force that completely proven overlook this, it tells just how evil people that are working in the Oslo police. But I and my family serve a God who is above all and all, he has full control and responsibility for everything in His time and in His way will justice judgment be made and fulfilled. We must all deal with, we will get back to what we sow, that we reap! "I am a God soldier, kill me if you want." - I am a God soldier, kill me if you want. The words rang still in my head occasionally. I was barely 11 when I was sent on Father house summer camp in Denmark. Big brother was tortured and I was taught to hide me, sacrifice their lives for the cause and save those who were kidnapped. The summer camp was to prepare us for the end of time and to fight the battle for Jesus. The leaders were convinced that the time was near. We therefore had to be trained to become soldiers. I was in the group for the youngest. At midnight we were awakened by screaming and yelling that one of the participants had been kidnapped. We did not even have a flashlight we alone were sent into the woods to look for the participant who had been kidnapped. Furthermore, we learned how to hide in order to not be seen by those who came to "take us Christians". At camp I was taught to a worldview that said the world would do us harm. One day we were lined up in a line. The authoritarian leaders told us with strong words that if we were ever kidnapped, we should die for the cause. We would die for Jesus. "I am a God soldier, kill me if you want." We should say. We rehearsed it together. The leaders asked us one by one, and we had to respond with straight clearers. I was ready. Eleven year old, I was ready to die for the cause. A little later my dad happy home from Zambia. He was excited and engaged; exorcism was on schedule for Oslo Church. Mom tried to get me to stay home, said I could not miss school, but we all knew that two weeks school is not meant so much for a skoleflink 7. Classing. The journey was long, and suddenly I was sitting alone in a room with a dirt floor and an African lady. She asked me to breathe in newspaper rolled up like a cornet. I heard screaming and wailing everywhere, but did as I was told. I breathed and cried. I was afraid. I shivered. When we finished she crossed on a list of various demons I had in me, jealousy was one of them. She said I had to come back for more exorcism. Mamma averted it. When I went out I met the sight of a screaming African lady who ran out of space and tore off their clothes. When I walked through the hallways so I people I thought I knew from Oslokirken behave like other people. They were violent, eyes rolled and cried. Some time later I broke out. I had gone to one of my brothers to be there for a while; I was too scared daddy. I would not be with anymore. I would not be driven out demons by. I would not be forced to meetings and prayer meetings every week. I was afraid. One evening mom beside me. She saw that I never managed to lower your shoulders; constantly tense. She looked at me and said, "Christine, do you want us to move out?". I felt the pressure ease and said yes. For years afterwards I awoke from the nightmare in a cold sweat. I thought I saw demons. Everywhere. I never felt safe. It took almost three years before I ended up in the emergency room. Big brother suspects a punctured lung, it proved to be a panic anxiety attacks. I did not understand what happened. I could not breathe, I was hurting and I was scared. Just before panic anxiety arrived I had seen an African. It took me four years before I stopped going by bus every time I saw a person of African origin. I was afraid they would throw curses at me. Afraid they would attack me. I had PTSD, also known as posttraumatic stress disorder. I was treated at NKVTS, Norwegian Knowledge Centre for Violence and Traumatic Stress. I did not think anymore. I would not believe. I did not understand that God was love. I did not understand that Christianity is not referred shame, shame, fear of failure and suffering. I did not understand love perspective. Slowly but surely I began to understand. I started in Ten Sing through YMCA-YWCA and was given the opportunity to develop as a human being without being afraid of stepping errors. I sang in the choir. I was with made dramas. I was creative. I began to find out who this is Christine. And who this God is. In recent times I have met people who looked parish life I was part of the outside. They saw me at school and among friends. They have said that they understood what happened was not good, and I'm glad they understood. But why was nothing done? What does it take for teachers, parents, friends, kindergarten teachers, nurses etc. In our society today is actually going to say when they happen something they think is good? This is not only about religion either, this is on a general basis. We have to learn to speak up. It is not okay that children should be afraid of the shadow of the desk chair at night because my dad said I saw demons. It will not happen. We must learn to dare to use our voice. Dare to speak up. I challenge schools, politicians, imams, pastors, priests, deacons, youth workers - the list is long - to dare to speak up. For either to speak up once too often than once too little. My brother, Anders Torp, has released the book Jesus soldier. I've been contributor and proud little sister. I support him in what he has said and done, believe prudent. My faith is still firm, despite all that has happened. I think it's about that I found an environment where I could learn about God in a new way. A God who holds the whole person and not based on shame or fear. As a child I was afraid of hell, demons and the pitfalls. My father was my idol, and my feet tried as best they could to follow his footsteps. I am thankful that I currently do not follow his footsteps. I make my own. Now I second year in a Bachelor of Youth, Culture and Christian education in Theology. I will be a priest in the Norwegian Church. I shall create a safe space for people to grow. I will show love and care. I will not judge others to hell, make them ashamed or force them under me. I want to show others that despite an upbringing in extremely charismatic Christianity one can find a way to a healthy faith later. - Thank you for a strong and incredibly important chronicle! What you describe is an upbringing with neglect, who had no children and young people experience. Good to hear that you have kept the faith in a good God, despite everything you've experienced. There is much honor to deal with his own father, but from what you beskriver- was necessary. He is sadly astray. - "They have said that they understood what happened was not good, and I'm glad they understood. But why was nothing done? What does it take for teachers, parents, friends, kindergarten teachers, nurses etc. In our society today is actually going to say when they happen something they think is good? " I am first and foremost totally agree. But I have to ask whether, in such cases had helped. Had it not primarily been black that you were persecuted, you had freedom of religion, that it was _der_ who had the right faith, and consequently could not hear us wrong believers, that we had been possessed by demons, or even been demons? - I understand your point, but it's not worth trying? Is not it worth trying to speak in hopes of getting children who are experiencing gross neglect from such an environment? - I think that all people regardless of life situation who experience neglect'll try to be rescued. I think it is so important that I would try again and again and again rather than thinking that it would not gone. Many religious in environments like this feed on the idea that they are being persecuted as something positive, yes, it is perhaps especially the one should try to get out? Whatever the cost will? One of my biggest focus as a Christian and as a priest coming is that I would rather say from once too often than once too little. I'm going to fight for every man and children I see living in unhealthy religious communities. - Thank you so much for sharing your story. It made an impression. Really sad that you have experienced this in your church. Totally agree that it was unhealthy. Good to hear that you have kept the faith and you get to be in God's embrace with all you. Continued success as a priest. The Norwegian Church need priests like you! God bless you on !! I understand what you say, but remember that this is a little clip of my childhood, and there are many, many more details and parts of my life here does not arrive. You write what you do I can have an understanding, but this is a very complex situation. To hear more about what I think you can send me an email to: christineandreassen@gmail.com. Alternatively, you can buy my brother's book "Jesus Soldaten" and can hopefully get a better picture of exactly why I can not have contact with my father.